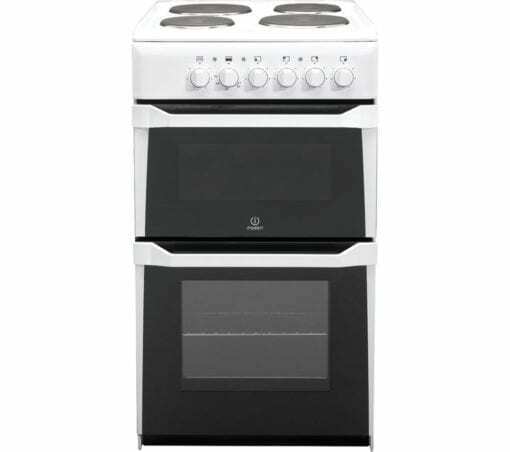 Stylish and easy to use, the Indesit IT50ES features a main conventional oven with a separate grill for flexible cooking options. With a width of just 50cm this cooker is ideal for those whose kitchen space is at a premium. 4 sealed electric plates on the hob come in two different sizes, ideal for different pan sizes and the smooth hob surface also ensures it will be easy to clean. 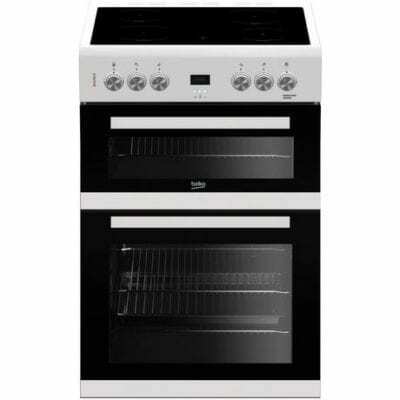 The enamel lined interior also ensures cleaning the oven will be quick and hassle-free. 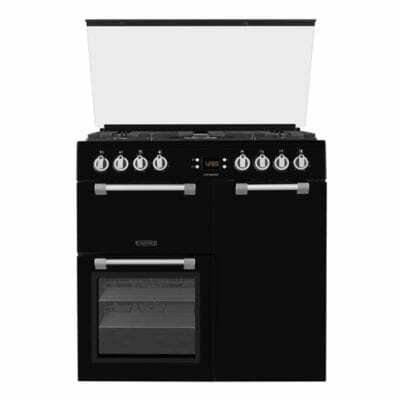 The main 62L conventional oven provides flexible cooking options as well as a separate variable grill. 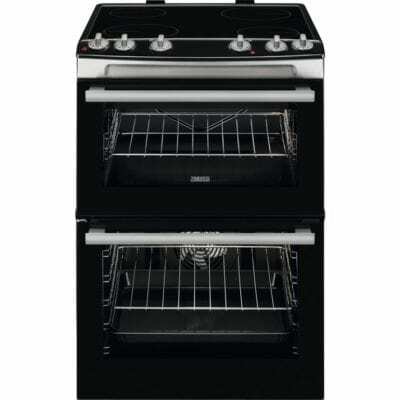 Using the variable grill you can set the grill half-width or full-width which makes it versatile and economic to use if you’re grilling small amounts of food. Double glazed doors and an interior light tops off this cooker.